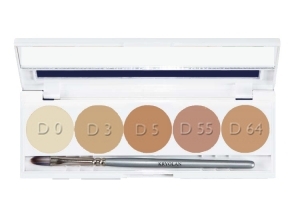 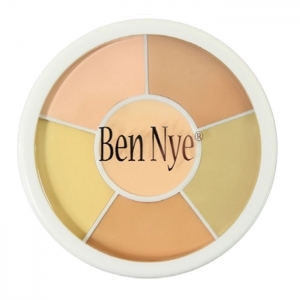 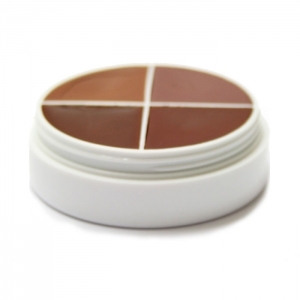 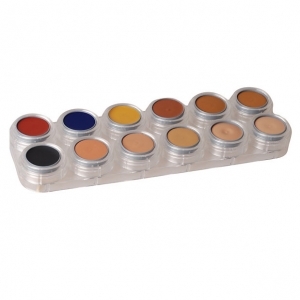 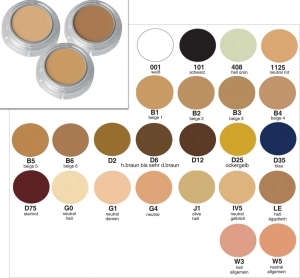 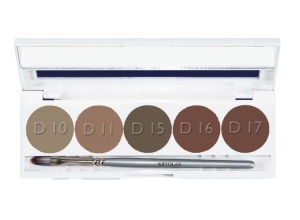 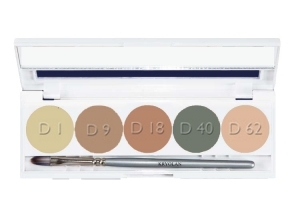 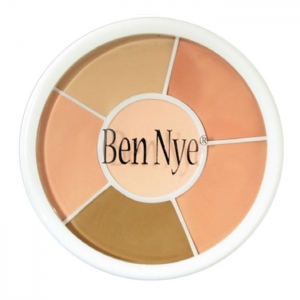 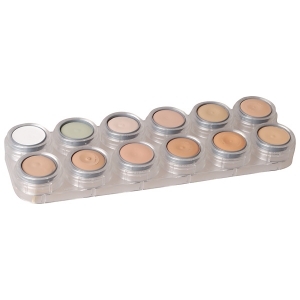 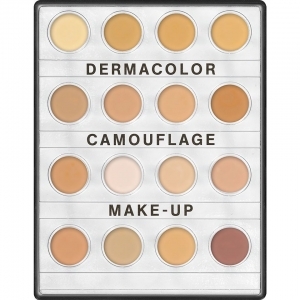 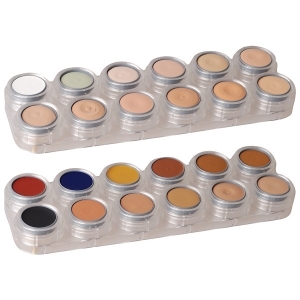 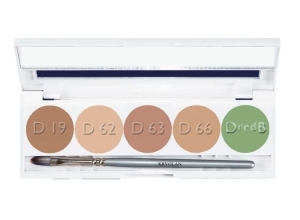 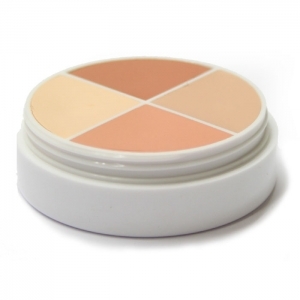 15 gr - Camouflage Makeup Palette Camouflage makeup is an especially highly pigmented make up to cover farblicher skin disfigurements, scars and tattoos for the face and neck . 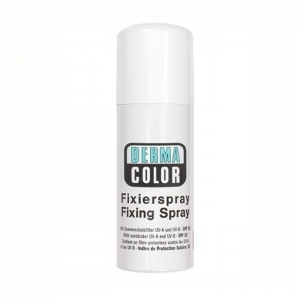 If used properly, it covers the problem areas reliably . 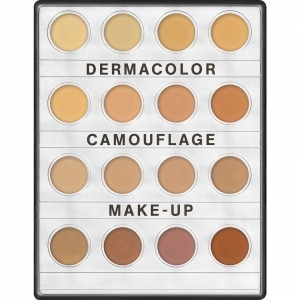 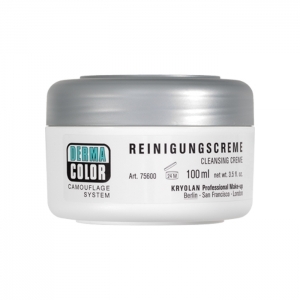 Dermacolor Camouflage Fluid is a new, innovative camouflage preparation in a class of its own. 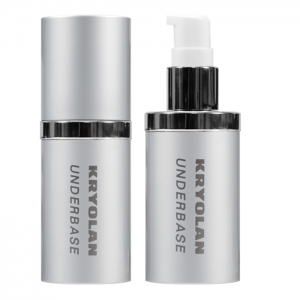 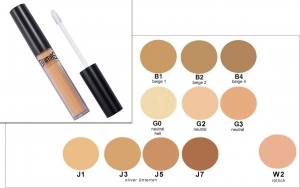 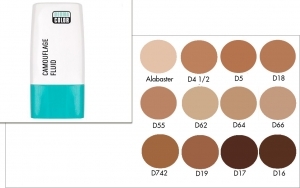 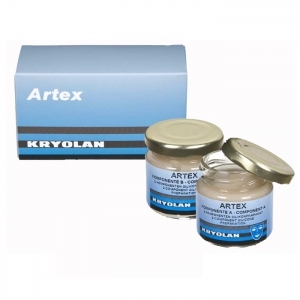 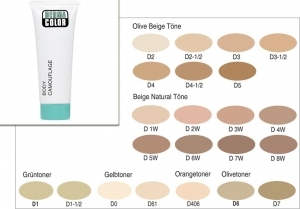 35 ml - Kryolan Body camouflage makeup to cover age-related pigmentation , non-inflammatory pigmentation , varicose veins , scars , spider veins and vitiligo . 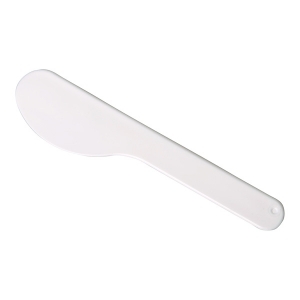 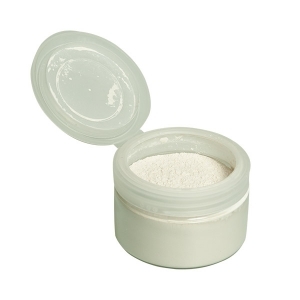 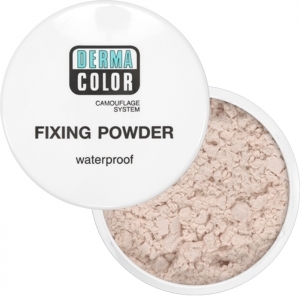 It can also be applied to the hands , arms , body , legs , and extremities with a smudge-proof and water-resistant results . 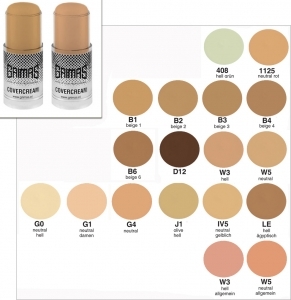 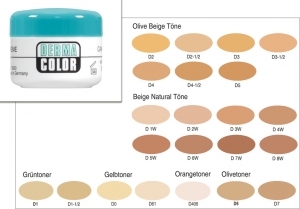 Grimas Camouflage Makeup is a highly covering make up to cover skin discoloration , in vitiligo , spider veins , scars , eye shadow , eye rings , tattoo , birthmark and pimples .